I have been using paper clays for a few years now and I can definitely say that one type is different from another. There is creative paperclay, premier, LaDoll, LaDollPremix, Darwi, FIMO Air, Sculpey Air, etc. 4. "Feel" of the clay. What i mean by that is that some clays are easier to sculpt with than others. Some have a very slipper, kind of soapy feel to them which is not very pleasant when you are trying to add pieces. 5. Another factor that cannot be ignored is the "accessibility". How easy it is to find locally. Is it worth ordering online or pay a bit extra and get it at your local craft store. First I would love to ask you about YOUR favorite type of air dry clay and your experience with it. Let me know what you tried, what you liked about it and what you didn't. I am sure we all would appreciate your opinion and point of view. There is so much your can learn from someone's experience. Considering it all costs money and we only want to spend money on good stuff, LOL, JUST KIDDING, experimenting is a part of learning! 1. The most commonly used in North America and most easily found is Creative Paperclay, japanese made. It is soft, very pliable, applies very easily and not too difficult to sand. When sanded with an extra fine sand paper it looks and feels like porcelain. It is pretty strong after drying. Draying time depends on the thickness, but usually your creation will be 90% dry the next day or 24 hours. I find it is a bit coarse clay, especially when it dries. No matter how smoothly you think you sculpt, it requires sanding, because when it is dry there aretiny grains left on the surface, which in a way is its own charming quality. I also find that it is very easy to use because the tiny granules in clay let you “grab” it better and help your fingers not to “glide or even slide down” from the surface of the clay. I personally like it a lot. 2. 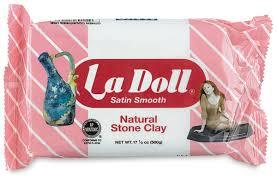 One of the other very popular clays is LaDoll. Also made in Japan. Very nice, professional grade clay. It is strong and much smoother than Creative Paperclay. It sands a bit easier too. Beautiful results! You will not going to be disappointed. 3. Now, please if you have a chance, try Premier. Also made in Japan. This clay is extremely light after it dries and super bright white color. I find that it is a bit too slippery for sculpting (hands slide too much), but it you get used to it, it is totally worth it! It sands very easily and very strong after drying. The lightness of this clay, when dry cannot be compared to anything else so far! I am talking professional doll-grade quality clay. Try it, for sure. I love the finished results with it – gorgeous clay and you can’t beat the lightness of the finished and dried piece. It is more expensive than Creative Paperclay. 3. 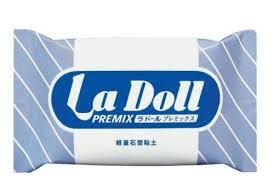 There is a mix of Premier and LaDoll clays, developed by Hannie Sarris, called LaDoll PREMIX. This is exactly it – a mix of the two clays. It is nice and strong. It is a bit heavier than Premier and a touch lighter than LaDoll. In reality, I find it is a bit closer to LaDoll by its nature. Which is a great thing. In a word – this is a wonderful, professional quality clay and it is not surprising that entire doll making community (working with air dry clays) know and praise it. It is more expensive than Creative Paperclay. 4. Sculpey Air – this is a new clay that I discovered a year or two ago and it is a great material for playing around with and actually making a professional doll with. It is pretty strong and easy to use. A little bit “soapy” for my liking and the only drawback I discovered with it so far – it is heavier than all the clays I listed above. 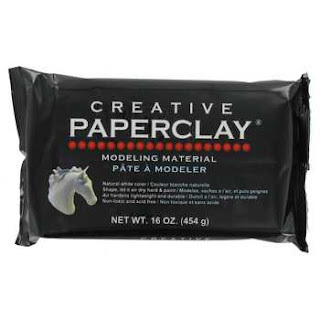 It is also a touch cheaper than Japanese clays and because it is an American product (by Sculpey) it is readily available in almost all craft stores, including Michaels here, in North America. 5. Another one worth mentioning – DAS or PRANG (Prang bought Das clay). It is much heavier than Creative Paperclay, but sands easer. It is also suitable for making dolls, but it is not as strong as Paperclay, LaDoll, Premier and LaDoll Premix. However, if you would like to try it, it is much cheaper and a good practice for make something fun! Let’s also clarify some things – what I call ”professional doll clay” is the clay that can handle creation of tiny parts, like doll’s fingers. It also should sand to an extremely smooth porcelain-like finish. Don’t bother with other kid’s clays from Crayola, unless you are making a projects with and for kids. My advice, if you are planning to sell your work or make it to enjoy yourself for many years – stick with the professional type clays. You won’t regret it. 6. There is another clay known in Europe – DARWI Classic and DARWI ROC. It is Belgium made. 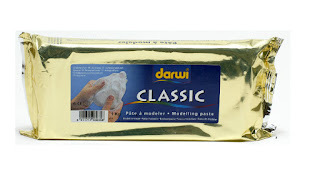 I have tried Darwi Classic, and found it extremely heavy! I understand it is designed for working mostly on ceramic repairs. However, there is something like DARWI Extra Light, but I haven’t seen it in North America much, so therefore I don’t have much to say about it since I haven’t used it. Darwi is mostly known to European doll makers. I assume they use it partly because it is available to them (we all use what we can find, right?). However after trying other clays, I can definitely say there are better clays out there for doll making. At the end of the day, when you have to ship your sculpture to a client (which I do a lot and the weight of the piece is very important to me), you really don’t want it to be weighing a ton J Sorry, Darwi J Some of my students used Darwi before and like it, so again, experiment! 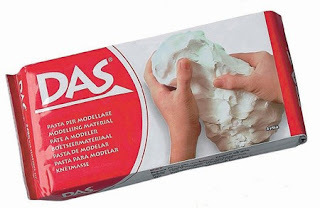 I also have a friend working exclusively in paperclay and Premier and who used to work with DAS in the past, mentioned to me that during transportation her figures made with DAS had breakage in the fingers and she had to repair them. I am talking about an artist who travels a lot! 7. 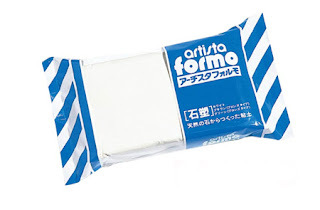 Another Japanese clay is known very well to European market is Artista FORMO. I have read that it is a bit coarser clay than LaDoll. Again, I haven’t seen it here, in North America and didn’t have a chance to try it. 8. Also, there is FIMO Air Basic. I find it is a bit similar to DAS and Scupey Air. 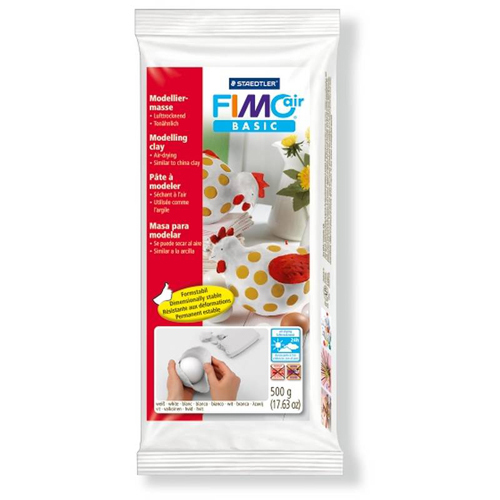 It is a bit heavy for my liking, but works pretty well in a tight situation J I mean if you really really really need clay and nothing else is available, you can do the work with FIMO Air, LOL. Have fun experimenting! And I would love to hear from you about your clay experiences.